Siri can be quite useful, but if you really want a "Jarvis" kind of experience, like Tony Stark in Iron Man, you need to be able to interact with Siri without touching a button. Fortunately, iOS 8 makes this possible. 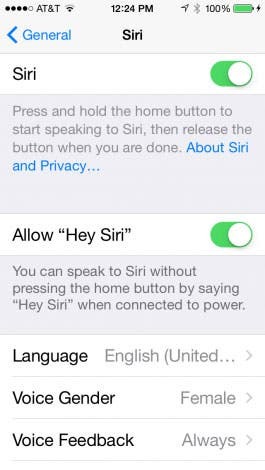 There is an iOS 8 setting that allows Siri to listen for the command "Hey Siri." To enable this, go to Settings>General>Siri and toggle the Allow "Hey Siri" switch on. It's not quite as powerful as Iron Man's artificial intelligence system; you have to ask your question right after getting Siri's attention. 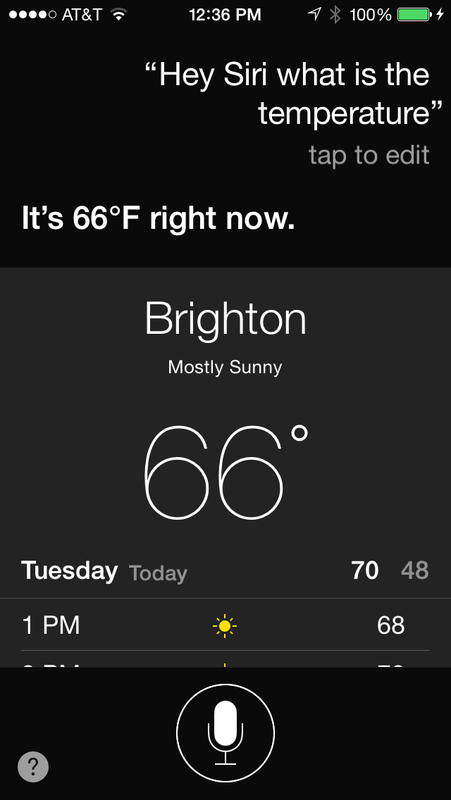 For example, saying, "Hey Siri, what is the temperature" works, but saying, "Hey Siri," and then waiting for a response will only bring up the traditional Siri interface. As cool as this is, the hands-free mode works only if you are connected to power. Presumably, this feature would otherwise require too much battery life, as the phone would always have to be listening for the phrase "Hey Siri." Fortunately, there's a way around this. Instead of tethering your iPhone to a wall, use a battery case. As far as the iPhone knows, it's plugged into A/C power, but you can still be mobile. Right now, I've only been able to do this with an iPhone 5s, as I'm still waiting for a battery case for my new iPhone 6, but this could be a way to give you the best of both worlds.